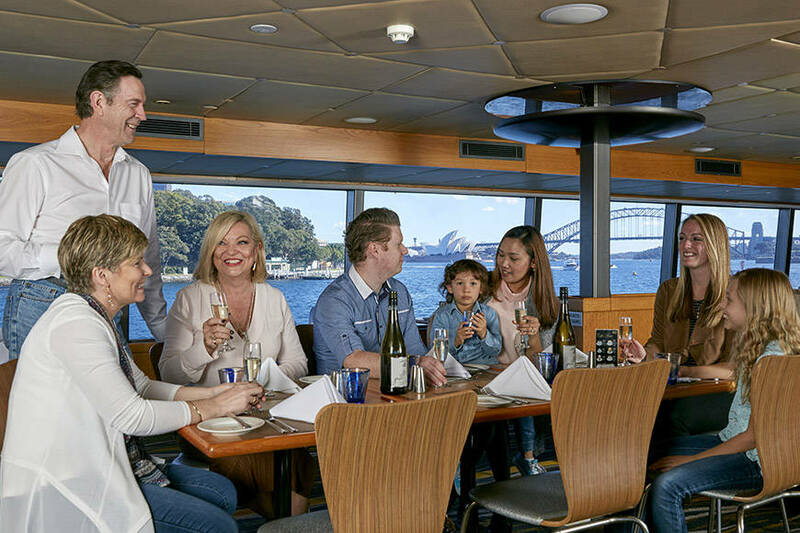 The Top Deck Lunch is immensely popular with local groups looking for a more sophisticated experience than just a sightseeing cruise. 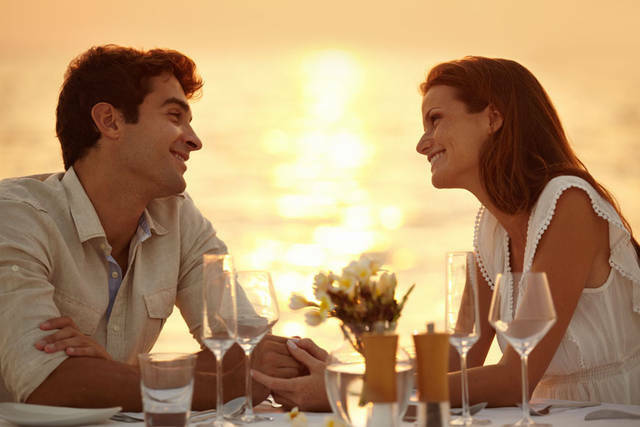 There is no commentary to disrupt the flow of conversation and the menu is Contemporary Australian a la carte. Celebration cakes are despatched to every corner of the deck leaving a trail of sparkles in their wake. Guests can choose their favourite two courses. An entree and main, a main and dessert, two entrees, or if you have a dentist in the family, two desserts. Additional desserts can be purchased onboard if anyone decides they would like a third course. Depending on your afternoon schedule there is a choice of early or late disembarkations. For visiting international corporate clients this cruise is the perfect blend of business and pleasure. The pre-defined finish time allows hosts to conclude their social business in a timely manner and be back at the office without the awkward `time to ship out and shove off' moment. Third course. Note cheaper if purchased at time of booking but all guests must select to have the additional course. Alternatively individuals can purchase an additional course onboard. Service: Hi, All 11 of us had a great time, however we had a very inexperienced waitress for most of the trip that either didn't ask around the table if we wanted drinks, so would deliver one and then walk away. At times there were obviously finished plates and they weren't cleared away promptly even though she was at the table to deliver a drink. I know this is due to inexperience, but she should have been with someone more experienced to guide her. There was another very experience staff member who was really amazing who we only got to meet late into the cruise. Also on the top deck we couldn't hear any of the commentary that the lower decks received. It would have been nice to hear about some of the harbour icons, or who lives where, or the name of the islands that we pass and some of its history. Shame. Service: The crew were great, efficient and polite. Very shocked with the price of a bottle of wine!! Friends recommended us to take the lunches. Cruise but as pensioners, we were appalled to see the price on a low level brand of wine at such a shocking price!! As we lashed out for the lunch all we could was to buy the wine! Not very happy but loved the cruise??? Thank you for the review of your experience of your Cruise. We believe our wine pricing to be equal to any contemporary dining establishment in Sydney. Service: Fabulous cruise would recommend it and the service was fantastic. Service: They were very prompt at serving us. The food was good. The cruise was good, but the wine was too expensive. 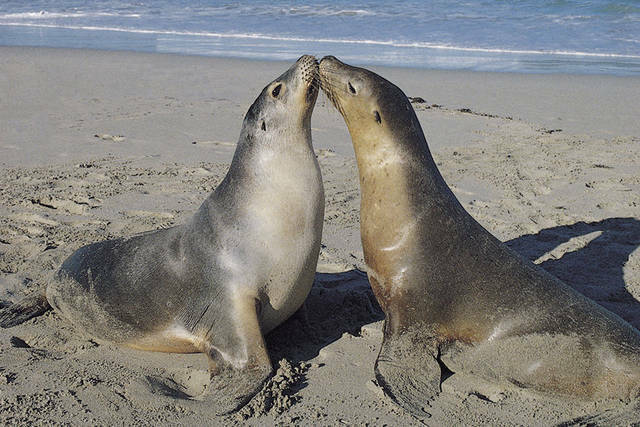 We have been on Captain Cook Cruises several times and enjoyed it each time. Product: food good wine expensive. Service: I would definitely recommend Captain Cook Cruises and I am already planning a return visit. I have also told friends and work colleagues it was wonderful experience and they should book. i have already emailed to advise that when I called Captain Cook direct I was very impressed with Summer as she went out of her way to be helpful. I had originally called to see if another site I was going to book through was using Captain Cook vessels. I would now only go direct to CCC and this is due to Summer. Congratulations to Summer. I also want to express thanks to our lovely waitress - Gisele. She attended to our every need and was so happy and attentive. She was busy and everyone wanted her attention and no one had to wait and she always was smiling. You have two great employees and I am sure many more so keep hold of them. On boarding all the staff were extremely pleasant. Product: Left comments on previous page of our Top Deck Lunch. Service: They tried to please us in everything. Product: Everything was most satisfactory. 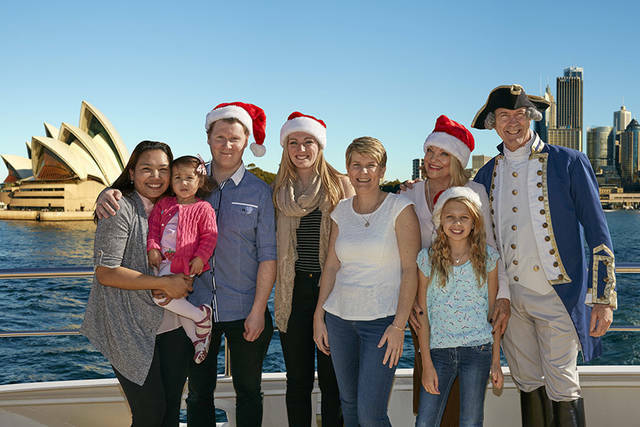 Steph and the rest of the staff are really helpful and very professional and the Trish MS Research Foundation's volunteers are extremely grateful for Captain Cook Cruises' very generous support. Service: Did not realise the amount of steps up to top deck and not so agile as used to be. Spoiled the start of lunch as very tiring with a stick to negotiate. Very surprised don’t adhere to disability and discrimination act as we have to in UK. We had a great top deck lunch cruise with lovely food. It was worth paying extra for the premium drinks and the window seat. Huge bonus was going round twice which we hadn't realised was going to happen. It meant we could enjoy our food inside with no commentary on the first trip then go to the outside for photos and with commentary on the second trip. Great afternoon! Service: Great afternoon out. 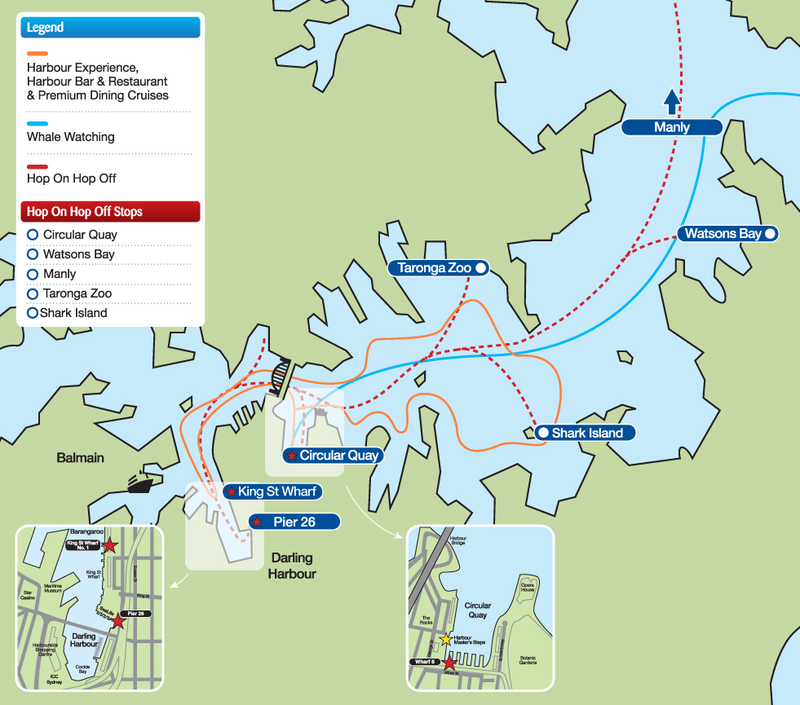 Highly recommend it to any visitor to Sydney. Boat was very well presented. 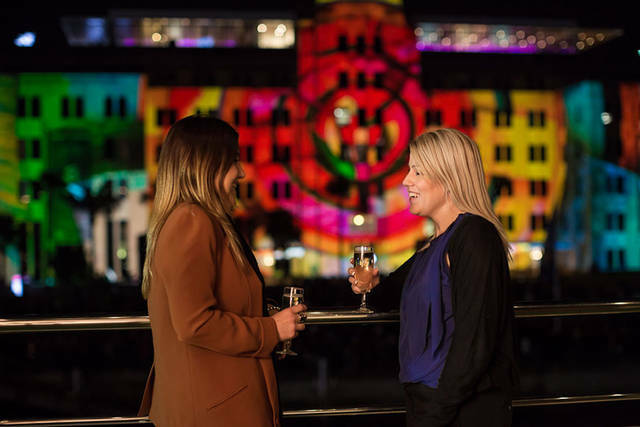 Service: I use lunch and dinner cruises a few times a year either with close friends as a super-relaxed time out together or with overseas visitors to show them something truly different and special about Sydney. Your meal cruises fulfil those aims admirably. In particular with a limited but good menu, you offer very nice meals with minimal fuss and timing which must be a ****** to keep to. With a glass or two and the effortless views, the whole trip makes for an unforgettable experience. Many thanks. Product: I already did in No. 1. It was great. Service: My husband and I had a most delightful day on Captain Cook Top Deck lunch cruise celebrating my birthday. Staff food and drinks were all very good. The weather was perfect. Product: Excellent day with helpful staff, lovely food and drinks. 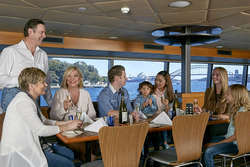 Product: Great value - imagine >>> full sit-down lunch of the best quality, afloat in one of the top tourist destinations anywhere in the world - all for below $70; unbeatable value! The food was good,service awlful, waiters passed us by,dirty dishes were not removed.It is was to be a special day for us, but we were very disappointed in something we have enjoyed many times. Service: Joey our waiter was spotless! Marvelous food and drinks. We also got an amazing window table at the bow of the ship - I suggest you pay extra for this. And the weather was also perfect for it. Recommend! Product: We had the Salmon and the Beef. Cooked perfectly! Drinks menu also very good. Service: Excellent viewing and great food!! Product: View was 10star easy. Food was grear too. Well worth it!! Service: Was very impressed with the food & beverage service, the staff were excellent & very nice. I highly recommend the top deck lunch cruise. The service was excellent and the food was superb. The cruise was to celebrate a birthday. The staff went out of their way to decorate the dessert and present it with a sparkler with very little notice. They even sang happy birthday when they brought out the dessert. Thankyou for making a very memorable birthday experience. Service: Everything was great, thank you. Product: Staff & food were great.. The customer service was fantastic and friendly. The views and food were amazing. It was all punctual and well organised. the Sydney harbour cruise lunch was nice and enjoyable. Thank you for the service. Service: As usual the service was excellent with the staff on board catering to all our needs. The food was also well received by all and up to the standard we have come to expect form Captain Cook Cruises. Service: Once again a very enjoyable day out. The food and service was great and nothing was a bother. This is the second time we have done the cruise....we even had a window seat.....a great day out!!!!! Cheaper than last year which was a pleasant surprise. Excellent service, excellent staff and fantastic lunching experience all round for our group of 9. Keep up the good work guys! Product: good food well presented. Service: Great experience with my mum. Beautiful food great service! Service: The service was very good . The menu choice was not as good as previous lunches. Product: Price was expected. Fair. Service: We had a wonderful time on the Captain Cook Cruise! Service was attentive with lots of friendly smiles. Product: We thoroughly enjoyed the 2-course lunch - food was delicious! Service: Amazing 6th wedding anniversary lunch cruise. Enjoyed the experience and the food!! Service: The staff were very attentive. The meal was wonderful. The location is of course first class!! Product: Very good value and wonderful service. Service: The staff were very pleasant and the service very good. Product: Every one of the 21 meals served were enjoyed by all and in particular the steaks were very tender and cooked to everyones taste. Service: The whole experience of the top deck luncheon was amazing - the delightful menu/food, the service, the environment and views and of course the beautiful and perfect weather on the day. This cruise was recommended by one of my sisters who experienced the same cruise 2 years ago. I would certainly recommend it to others. My daughter and I enjoyed an awesome few days in Sydney and this cruise was one of our highlights. The one thing I would recommend with the lunch is that tea or coffee be included as we paid extra. Thankyou so much Captain Cook Cruises. Anne Dubois and Rani Baker. Product: I have written all my comments in the previous box. its 2 options, take it or leave it.. Product: Of course the cruise, harbor is great. Lunch is not the main inventive for cruise. Thank you for your review of your Top Deck Lunch Cruise. Our menu is listed on our website and we always encourage customers to view this to understand the inclusions on their selected cruise. As a travel agent, i wanted to have an experience that showed me the sights and that I will be able to sell to my customers. This was by far the best option as it sves the travel and to include such a lovely lunch was a bonus. The no commentary was great also as I could sit back relax and take in the view. Many thanks for the experience. Boat had strong engine fumes, which made sitting inside somewhat uncomfortable. lunch was nice. Staff were friendly. Thank you for your review of your Top Deck Lunch experience. We pride ourselves in the service we provide to all our customers and we are happy to read that you had a good experience in this regard. We continually monitor all aspects of the production chain including receipt, storage, distribution, cooking and presentation to ensure a top quality and consistent product is presented to our guests, so we’re glad that your lunch was to your standards. We apologise for the fuel fumes that permeated the rear end of the vessel in your experience. We do operate under strict environment controls for all our fuels used on our vessels, and like all vehicles using petroleum the fumes are funnelled via our exhaust. Service: Fabulous staff were great, one of best well done steaks I’ve ever had compliments to chef. View pretty awesome also. Service: It was a great experience and I will recommend it to all my friends. However I’m still waiting for my complimentary birthday voucher which was included in the offer. When will I receive that? Service: The staff were very friendly and obliging! The seats very comfortable and the food very nice! Views spectacular! Product: Same as before! The staff, comfort, food were a very high standard! Views unbelievable! Magnificent boat; great views; good service and terrific food. Service: Great Service, great VFM, really helpful - made for an excellent experience. Staff were very friendly & their service was great. Meals were delicious, perfectly cooked. Also liked the photo idea. The view was fantastic and the waitress that serves was very friendly. Thank you for your recent review of our Top Deck Lunch Cruise. We were pleased to read that you enjoyed the service and views on your cruise. We continually monitor all aspects of the production chain including receipt, storage, distribution, cooking and presentation to ensure a top quality and consistent product is presented to our guests. We apologise that this wasn’t the case on this occasion and please be assured your comments have been forwarded to our catering manager for review. As you know we do strive to deliver world best practice customer service from booking all the way through to the end product – so your review for this is very satisfying to receive. Your comments are very much appreciated by all our hospitality and catering staff and a copy of your email has been forwarded onto their department managers. We are sure they will value the positive feedback too. Staff was well presented and always helpful as required. I was happy 😊 with the meal and well presented. Service: Good, but has been better in the past. Product: Has been better in the past. Thank you for your recent review of our Top Deck Cruise. We were disappointed to read that you felt the cruise wasn’t to your standards. Our aim is always to provide an extensive variety of options maintaining the highest standards of quality. We always encourage guests to talk to the Cruise Director on board if they have any concerns, especially regarding food, drinks and service as they will be able to solve the problem immediately.